I crave new experiences! I love going to new places and meeting awesome people. 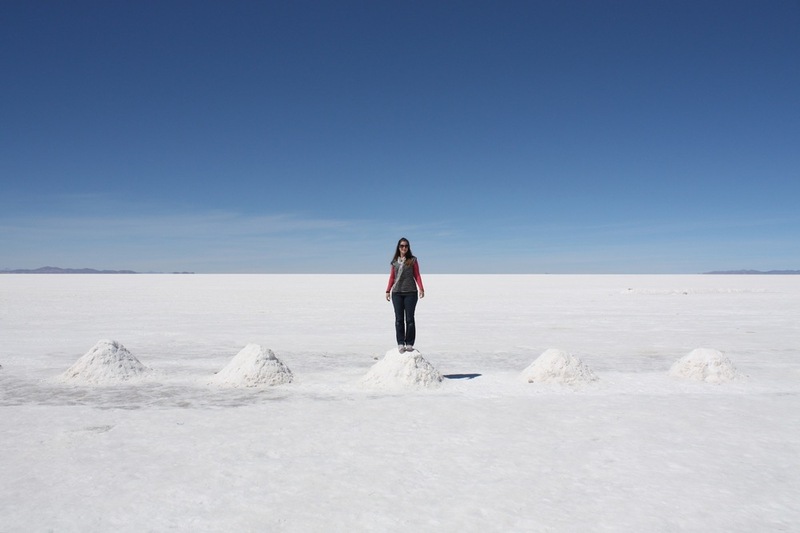 I love to travel and feed elephants in Thailand, help preserve the turtles in Costa Rica, climb up Machu Picchu, go to a Jazz bar in Chicago, try scorpion in China and stand on Bolivia’s Salar de Uyuni (pictured). How do you do it? I barely can live week to week! I love going to new places too even within NZ. I didn’t do all those things this year, Rochelle!